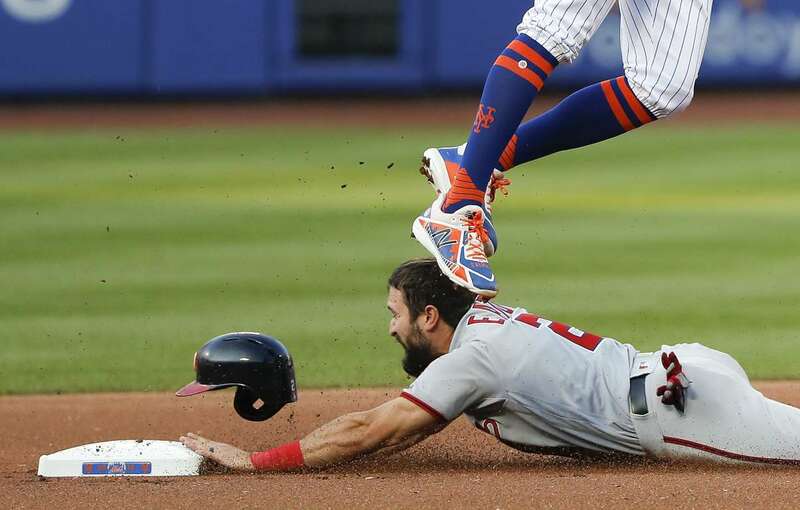 The Nationals', Adam Eaton, steals second base as the throw to the Mets shortstop, Amed Rosario, goes high, on Friday in New York. The Mets won 4-2. 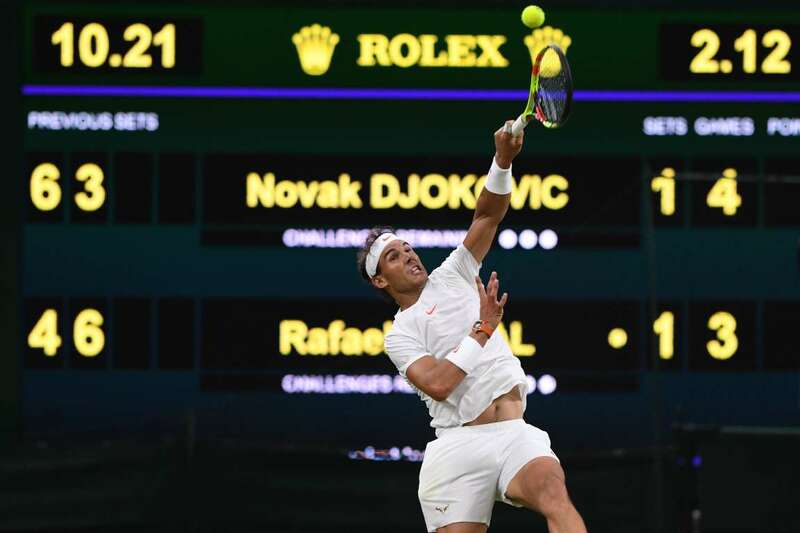 Rafael Nadal returns against Novak Djokovic during the Wimbledon Championships semi-final match, on Friday in London. The match was suspended following a curfew and will resume on Saturday. Novak leads 6-4, 3-6, 7-6 (11-9). Reaching out Rafael Nadal returns against Novak Djokovic during the Wimbledon Championships semi-final match, on Friday in London. The match was suspended following a curfew and will resume on Saturday. Novak leads 6-4, 3-6, 7-6 (11-9). 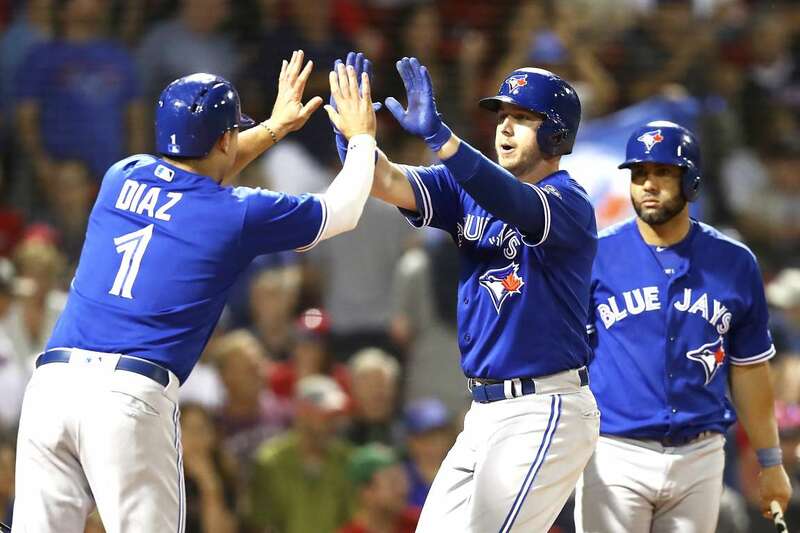 Justin Smoak high fives Aledmys Diaz (1) of the Blue Jays, after hitting a two-run home run against the Red Sox, on Friday in Boston, MA. The Blue Jays won 13-7. 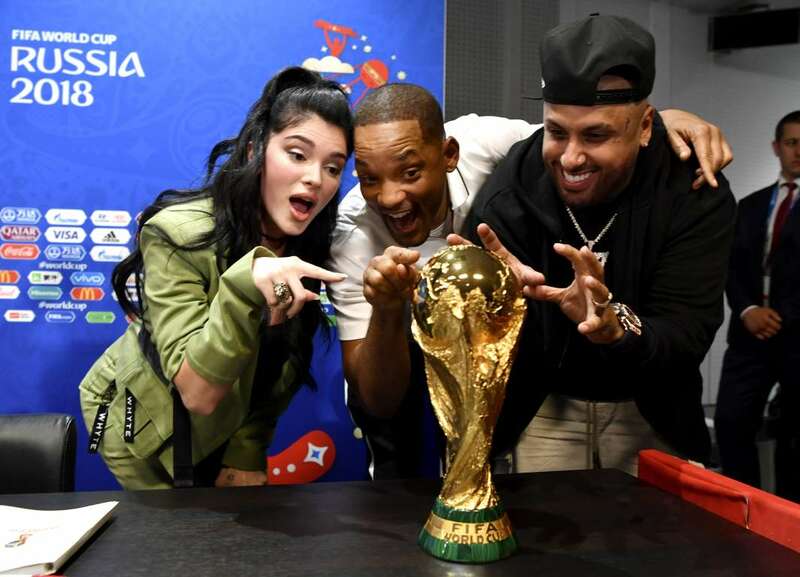 Era Istrefi, Will Smith and Nicky Jam pose with the World Cup trophy at the closing ceremony press conference, on Friday in Moscow, Russia. 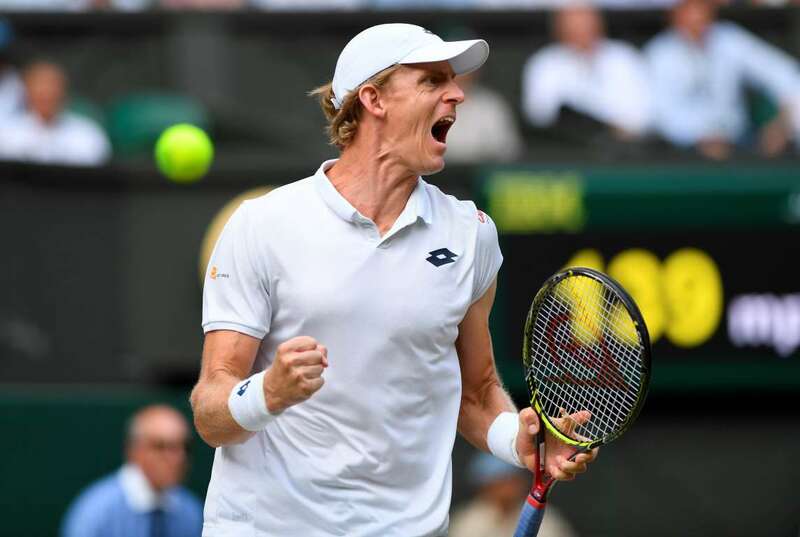 Kevin Anderson celebrates winning his semi final match against John Isner, on Friday in London. Anderson won 7-6 (8-6), 6-7 (5-7), 6-7 (9-11), 6-4, 26-24, after a 6 hours 35 minutes match. 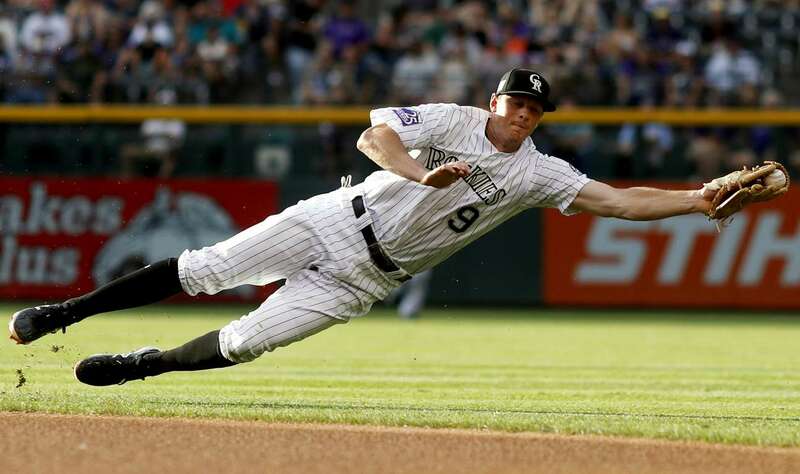 Rockies second baseman, DJ LeMahieu, dives to field a ground ball off the bat of the Mariners', Ben Gamel, on Friday in Denver. The Rockies won 10-7. 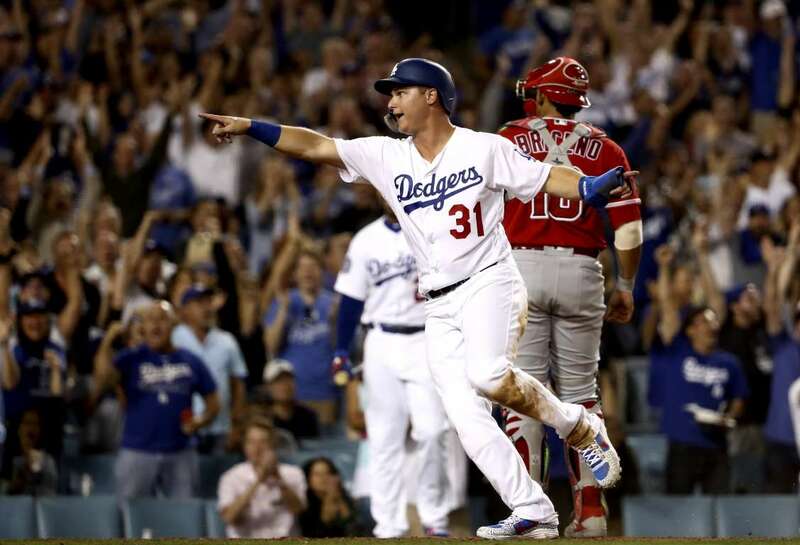 Joc Pederson of the Dodgers, points to teammate Logan Forsythe (not pictured) after they both scored against the Angels of Anaheim, on Friday in Los Angeles, Calif. The Dodgers won 3-2. 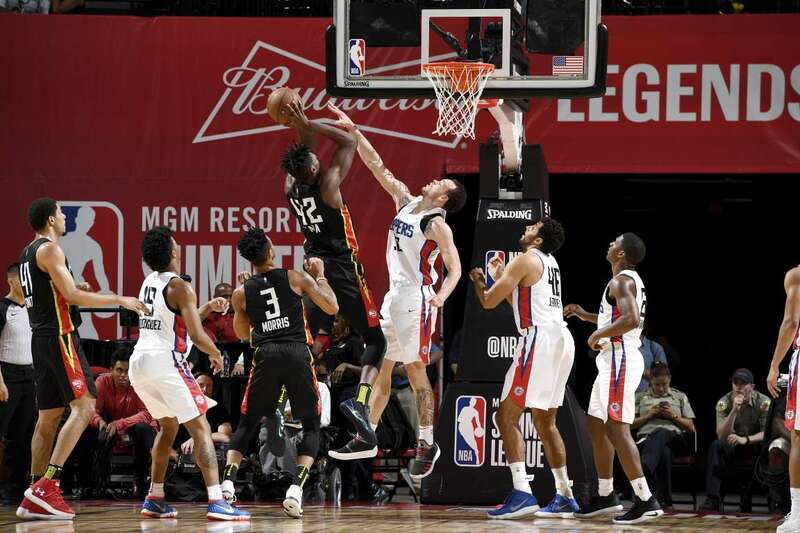 Alpha Kaba of the Hawks, drives to the basket against the Clippers during the Summer League, on Friday in Las Vegas, NV. Hawks won 97-81. 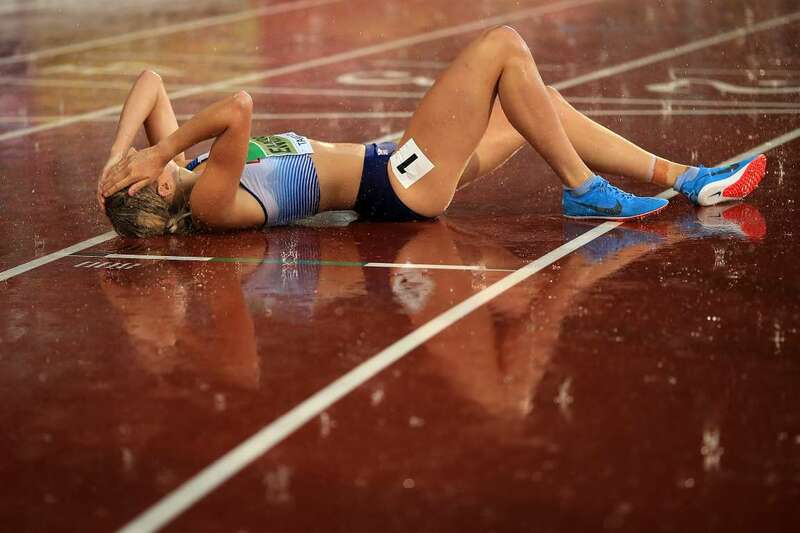 Niamh Emerson of Great Britain, crosses the finish line to win gold in the decathlon during The IAAF World U20 Championships, on Friday in Tampere, Finland. 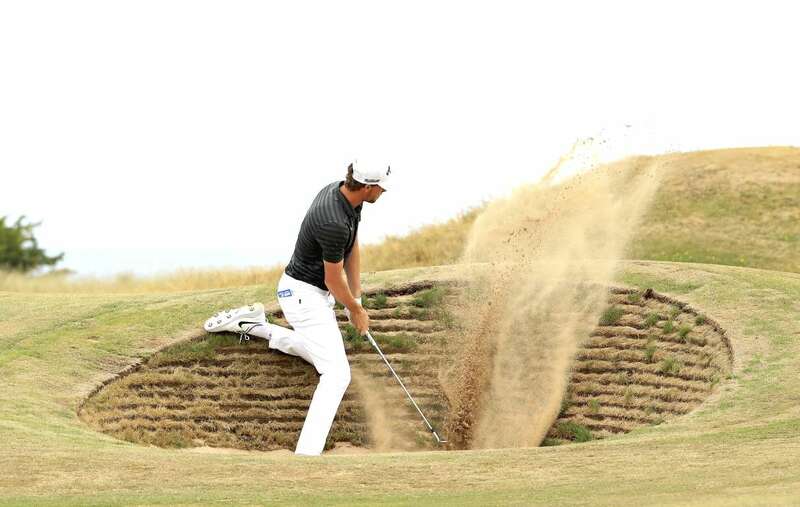 Thomas Pieters of Belgium, takes his third shot on hole five during the Scottish Open, on Friday in Gullane, Scotland. 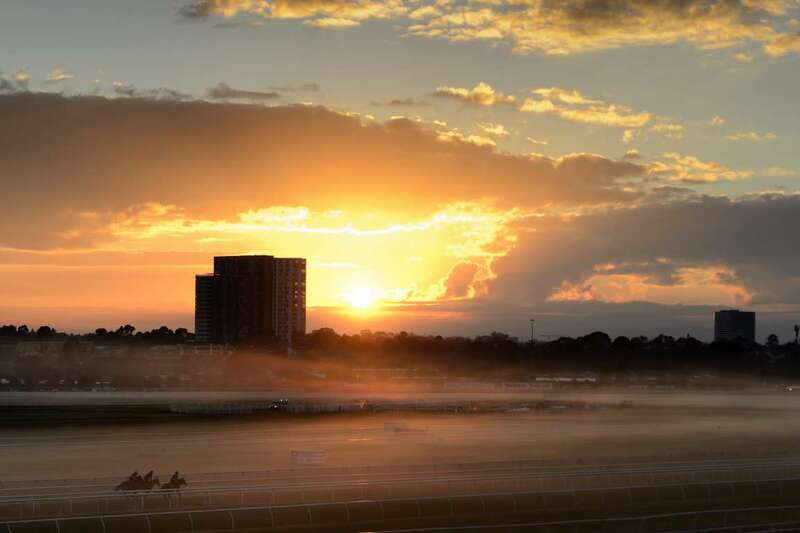 General view of trackwork in the early morning fog at Flemington Racecourse, on Friday in Melbourne, Australia. 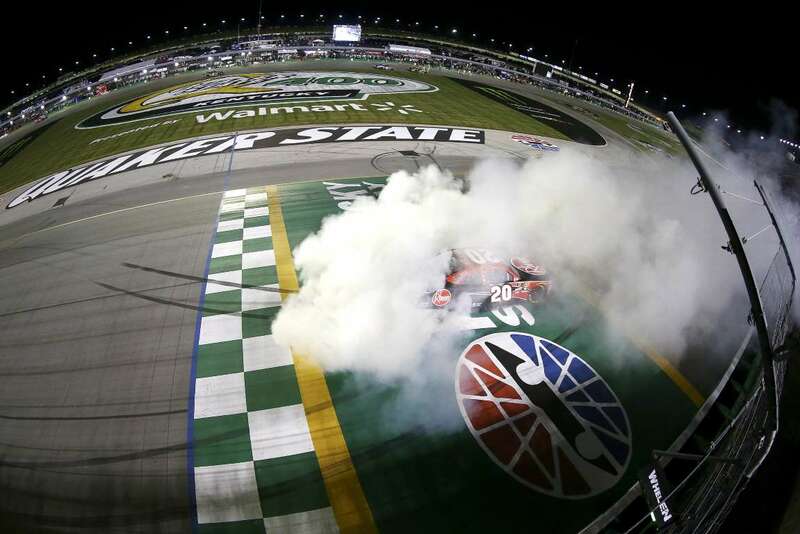 Christopher Bell, driver of the (20) Rheem Toyota, celebrates with a burnout after winning the NASCAR Xfinity Series, on Friday in Sparta, Kentucky. 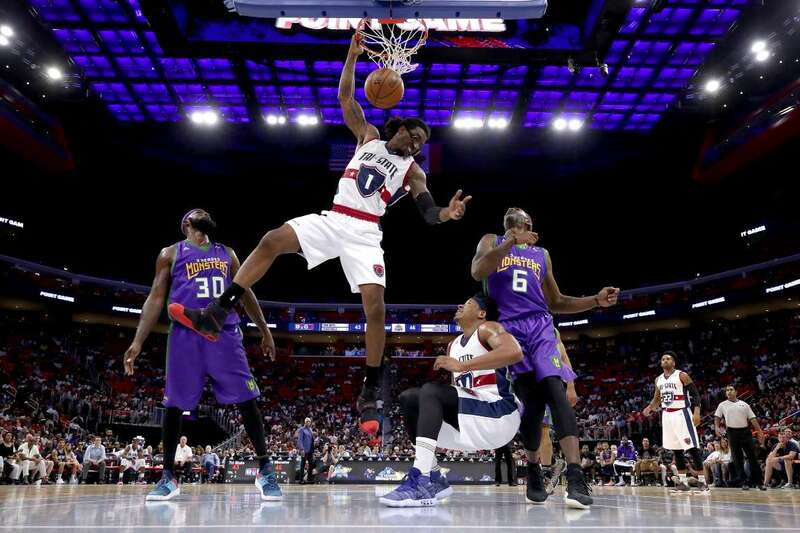 Amar'e Stoudemire (1) of Tri-State, dunks the ball past Headed Monsters during during BIG3 Week Four, on Friday in Detroit, Michigan. 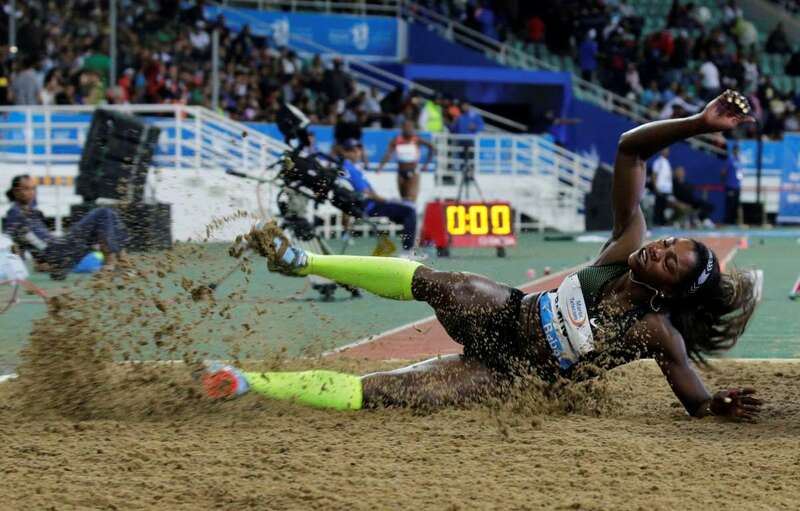 Colombia's, Caterine Ibarguen, competes during Triple Jump at the Morocco Diamond League Athletics Championship, on Friday in London. 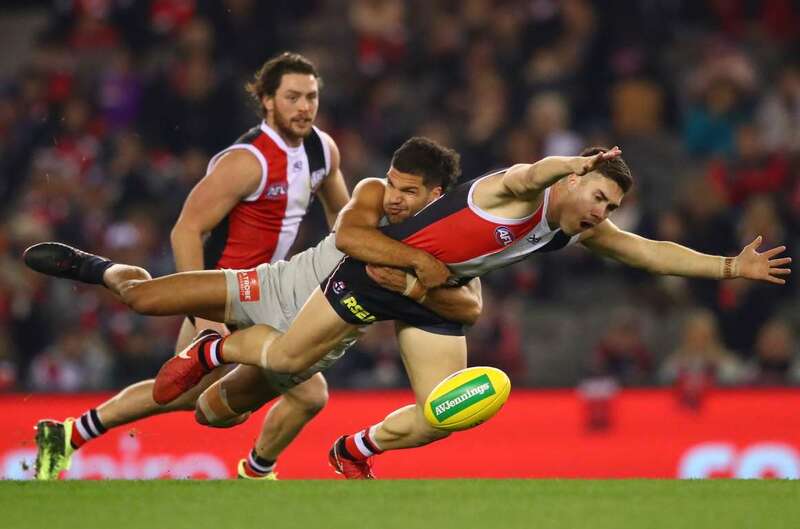 Jade Gresham of the St Kilda Saints, is tackled by Sam Petrevski-Seton of the Carlton Blues during the AFL match, on Friday in Melbourne,. 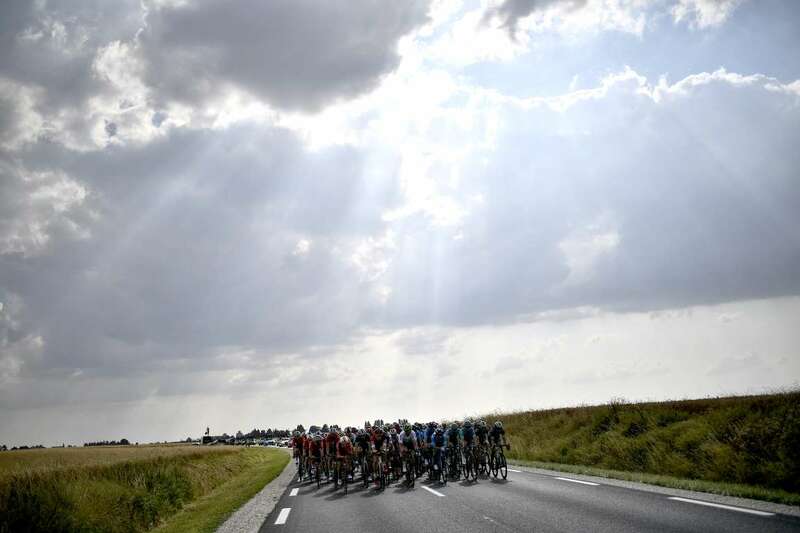 The pack rides during the 105th edition of the Tour de France cycling race between Fougeres and Chartres, western France, on Friday. 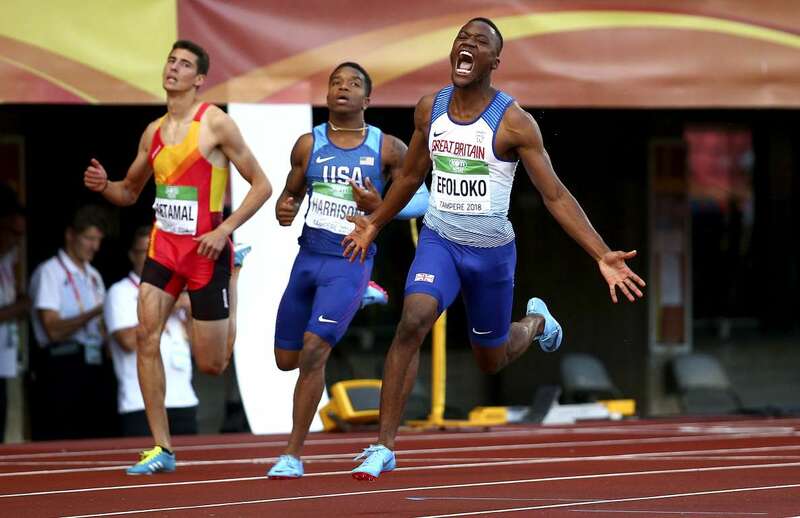 Jona Efoloko of Great Britain, crosses the finish line to win gold in the final of the 200m during the IAAF World U20 Championships, on Friday in Tampere, Finland. Croatia players undertake a training session on Friday in Moscow, Russia. Sweden's, Sofie Skoog, competes during the high jump event at the Morocco Diamond League athletics competition, on Friday in Rabat, Morocco.